They have private swimming pools, and are of extremely superior standards. They have been built of stone and designed in traditional Zakynthian architecture, but with hi tech amenities and can accommodate up to 2-10 guests. They have parking and private gardens measuring approximately 800 meters which have barbecues and playgrounds for children. The main living area has one double bedroom, living room(can accommodate 1 more extra guest), with fireplace and satellite television, bathroom, kitchen fully equipped with refrigerator, cooker, dishwasher, washing machine and all other necessary electrical equipment. 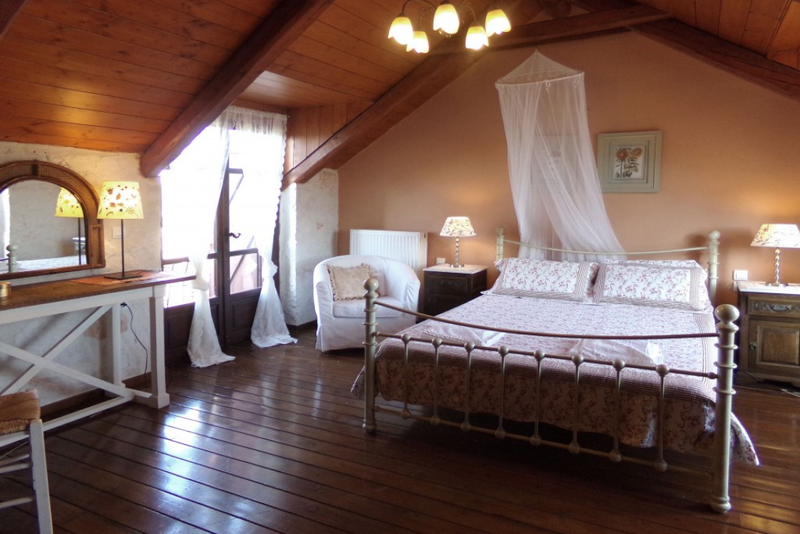 They also have attics which is basically a cozy sleeping room for 2-3 people and a lower den (except Daphne) which can only be described as a superb relaxation area. It is 70 sq.m. and is made up of a living room(Can accommodate 2 extra guests), double bedroom with Jacuzzi, bathroom, kitchen area, washing machine, etc. All consist of 3 bedrooms, two bathrooms, living room, dining area, kitchen, balconies, etc. Each house is 150 sq. meters (about 30 sq.m. 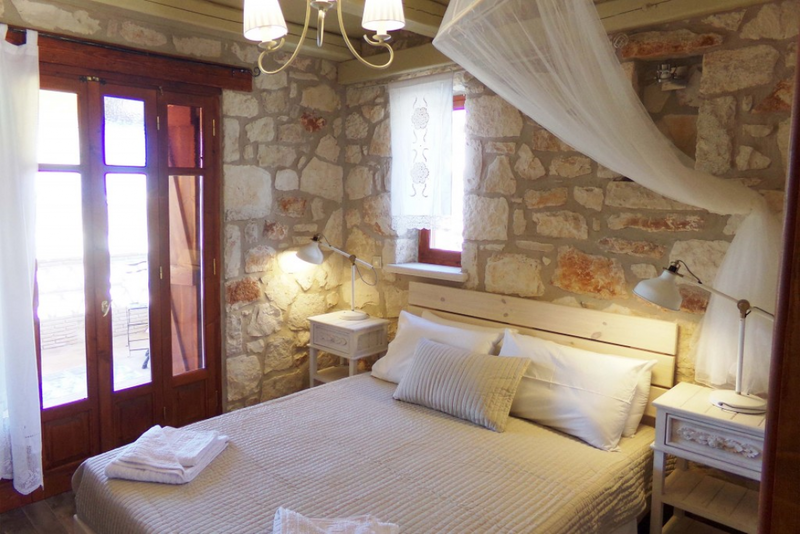 the balconies) in size and have been designed in traditional Zakynthian style in stone, the interior luxuriously styled and, of course, fully equipped throughout.There is also an ecological children's playground, Swimming Pool, WiFi, parking and BBQ.